Why Failure Is Good For Success - Failure Is Actually Your Friend! Is Wealthy Affiliate Legit Or A Scam? Sign up for my weekly posts! My Jaaxy Keyword Tool Review – You Can’t Live Without This! What Are The Best Microphones For Creating YouTube Videos? CB Cash Code – What’s The Scoop? Can You Make Money Driving For Uber? Failure hurts. It can even be paralyzing, cementing your future in stone because you’re too scared to begin again. Failure breeds fear, and can be devastating. None of us would disagree. It’s important to remember is that every failure has a silver lining trailing in its wake. Of course, you won’t see it at the time, but somewhere down the road, when enough time as gone by, you’ll embrace the insights, wisdom, and lessons you gained from your failures. Here are 5 reasons why failure is good for success. We’ve all heard success stories of entrepreneurs, athletes, musicians, and inventors who failed many many times before they finally succeeded. Do you believe this same principle applies to you? In actuality, it applies to every person on this planet because failure is, and always will be, part of life. We are all going to experience it in one way or another. That is simply a given. Do we make too big a deal of failure? Failure, as defined by Wikipedia, is a lack of success, falling short, or a failure to perform an expected action. I wish we could each individually redefine and accept failure as part of the deal, and something to be expected. If we did, maybe failure wouldn’t have such a negative stigma. Here are a few reasons failure really is your friend, although, you’ll only see this in hindsight. Failing time and time again often paves the road to success. Why is it that the more times you fail, the more likely you are to succeed in future endeavors. Because failure brings with it a whole host of learning opportunities and lessons that help you unpack what does and doesn’t work. The tapestry of your life will be woven from both your wins and losses. You will then bring these valuable life lessons and wisdom into your next adventure, knowing what not to do. Failure can also put your mind into a troubleshooting mode, gleaning insights that you otherwise may not have had access to. Your creativity and problem-solving abilities will be stretched as well, integrating wins and losses from past experiences. Creativity is a catalyst for innovation, and new ways of doing things. Can we shift our thinking in regard to failure, viewing it has a mentor, a teacher, and even a friend? It will take a shift in perception and awareness for sure, but it’s a healthier way to live. Failure precipitates change, and can be a wake-up call to learn the art of introspection and reflection. This can bring awareness of outdated thinking and behavior patterns. This is important because awareness precedes change. Self-awareness, and changes in perception and action, can lead to both personal and professional transformation, which are often intertwined. Failure is an integral part of life. Believing otherwise is a set-up for disappointment. Think of it this way, failure is not wasted if you learn something. Develop this mindset, and you will most definitely learn invaluable lessons from your flops. I believe we should bring our failures into the light so others can learn from our hard-won wisdom. Failure should be viewed as a catalyst, rather than an impenetrable fence. After all, it’s better to try and fail, then to not even begin, or to give up in the early stages when the going gets tough. And all of this because you’re scared of the consequences. Take risks, everything in life is a leap of faith, and we were never promised that everything we tried would work out. Look at it this way, if your fail you’re in good company. It happens to all of us. Listen to Tony Robbins talk about how failure can be your masterpiece. Is there a particular mindset or specific methodology that successful people possess? I believe that there certainly is. People who have achieved success are resilient, have courage, and see the big picture. The failures of today are not forever. Tomorrow is a new day full of hope and promise. Failure is an exercise in self-development and progression, not to mention humility that comes in no other way. You’ll value your successes that much more if they required all you had to give in terms of persistence, fighting against all odds, and a never-give-up attitude. Effort, hard work, commitment, and resiliency are what will take you to the finish line. Who you become in the struggle is just as valuable as the end result you’re hoping to achieve. Let your stresses, struggles, and failures transform you into a kinder, more understanding, and better human being. Finally reaching the reward you’re seeking, many times requires time in the trenches, while traversing a rocky, lonely road with no destination in sight. It can be a painful process, but one that’s well worth it in the end. Fearing failure will only derail you from reaching your true potential, and may be the impetus for one of your biggest breakthroughs. I know what failure feels like. I also know it can be a strict taskmaster and teacher. I didn’t know how to succeed online until a couple of years ago. Fortunately, I now believe I’m on the right path, and it feels really good. Starting an internet business can be scary and quite intimidating at times. Wealthy Affiliate has made the process much easier and enjoyable than it was previously, and I’m thankful for that. 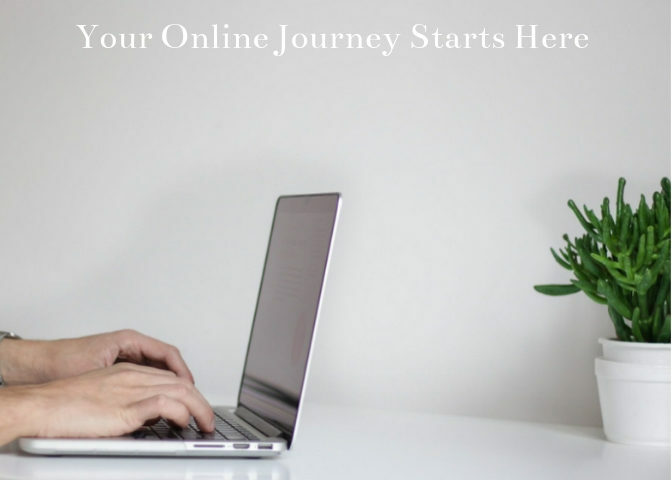 Many people today are looking for ways to make money online so they have more control over their time, and how they live their lives. So many in the workforce are tired of the 9-5 grind, and working on someone else’s time clock. We’ve all had big dreams that have flopped. It’s hard not to have your ego take a hit. The wounds can run deep. The gifts of failure, however, can lead to innovative ways of doing things, personal and professional transformation, increased self-awareness, and positive changes in behavior. Wisdom and experience are hard-earned and come only through trials, failure and adversity. Let’s all learn to anticipate failure, using it as a stepping stone to our inevitable and eventual success. How do you deal with failure? Please take the time to share your insights on how failure has changed you.